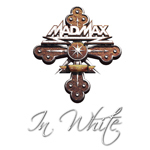 MAD MAX is a Münster melodic Hard Rock outfit debuted with a line-up of vocalist Andreas Baesler, guitarists Wilfred Schneider and Jürgen Breforth, bassist Thomas Hoffman and drummer Uwe Starck, cutting a self-financed, eponymous album for issue in 1982. This offering was subsequently re-issued via Roof Music in 1983. The band signed to Roadrunner Records and new singer Michael Voss, then just nineten years old, featured on the second album 'Rollin' Thunder', released in October 1984. 'Rollin' Thunder' was also granted a valuable US release on the Metal Blade label. 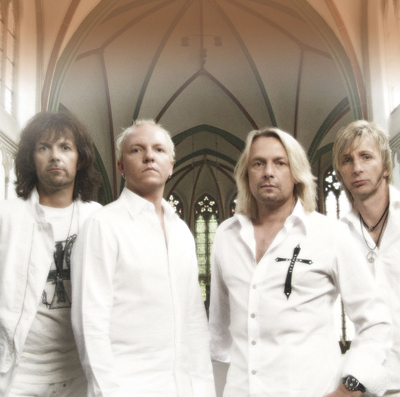 The band then replaced Hoffmann with new bassist Jürgen Sander. MAD MAX evolved further when both Schneider and Starck vacated their positions to join fellow Münster Heavy Metal band Carrie. 1985's 'Stormchild' album witnessed new recruits being drafted in the form of bassist Roland Bergmann, drummer Axel Kruse and guitarist Christopher Wegmann. The single 'Fox On The Run', from 1986, was a cover of the Sweet classic. Two MAD MAX guitarists Jürgen Breforth and Ralf Heyne created Tanner. Heyne later issued an eponymous album with DOCHEYNE. 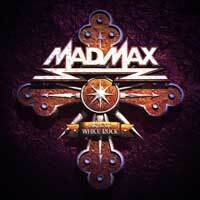 MAD MAX, actually just Voss and Breforth, reformed in 2000 for the 'Never Say Never' album released by Point Music. Sessioning in the studio for this set would be the Tanner rhythm section of bass player Carsten Tischer and Yogi Spittka. Japanese variants of this record would be re-titled 'Criminal Religion'. During late 2001 Heyne would also resurface in another album project entitled BISS in union with erstwhile Victory vocalist Fernando Garcia.